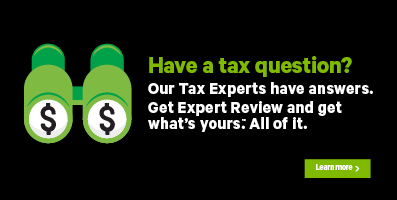 Regardless of your tax situation, or the complexity of your return, H&R Block’s software tax will give you everything you need to prepare and file your return. I plan on using your Online tax software. What are my options? Our online tax software has three different solutions for you to choose from: BASIC, ASSISTANCE, and PROTECTION. Click here to view a list of features that comes with each product. Important: If you started preparing your return(s) as a BASIC user and then upgraded to either the ASSISTANCE or PROTECTION product, your 2 BASIC returns will automatically be counted as ASSISTANCE or PROTECTION returns unless they’ve already been filed. I plan on using your Download tax software. What are my options? Like our online tax software, our download software has several different options for you to choose from including BASIC, ASSISTANCE, and ASSISTANCE PLUS. Click here for a list of features that comes with each product. **Once you’ve used all 4 of the BASIC returns on your account, you’ll need to upgrade to the ASSISTANCE or ASSISTANCE PLUS product. Maximum number of returns at this product level: Initially, you can buy a pack of 8 returns. Once you’ve used those, you can add an additional 4 returns at a time, up to an account maximum of 20 returns. Maximum number of returns at this product level: Initially, you buy a pack of 12 ASSISTANCE PLUS. Once you’ve used those, you can add an additional 4 ASSISTANCE PLUS returns at a time, up to account maximum of 20 returns. Important: If you started preparing your return(s) as a BASIC user and then upgraded to the ASSISTANCE product, your 4 BASIC returns will automatically be counted as 4 of your ASSISTANCE or ASSISTANCE PLUS returns unless they’ve already been filed. Upgrading your account to one of our other products is easy. Simply click the Upgrade Now button located in left-hand navigation panel at any time to upgrade to the ASSISTANCE or PROTECTION products (online software) or the ASSISTANCE or ASSISTANCE PLUS products (download software). Once your payment has been processed, you’ll be directed to your purchase summary page that contains details about all the great products and services that you’ve purchased and you’ll receive an email confirmation with all the important details.